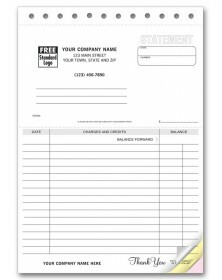 Our classic lined statement forms with carbons encourage quick, dispute-free payment! 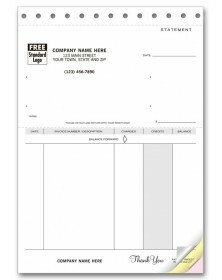 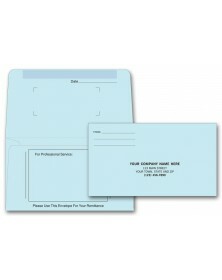 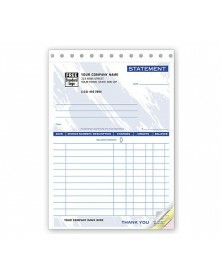 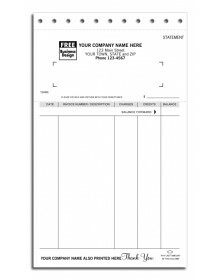 Top portion is perforated to send in with payment. 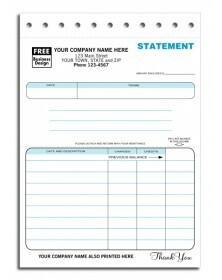 15 preprinted lines for neat, professional writeups. 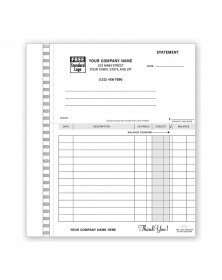 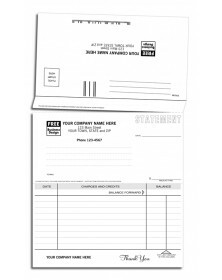 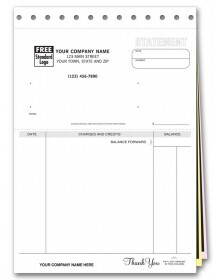 For financial account balances, profits and losses, billing, or tallying invoices, our statement forms provide all the features for organization. 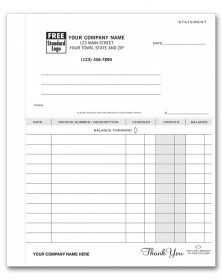 Fields allow your business to list, in detail, invoices or a description of services, charges, credits, balances, and details, and carbonless paper creates multiple records for you and any customer or client. 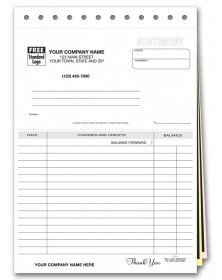 Additional space and lines assist with customization and fulfilling business needs, from drawing up terms and conditions to net days, percentage per month, and percentage per annum for payments. Add your logo, free of charge, to get your business seen.